Do you know the Asian fish ball recipe? 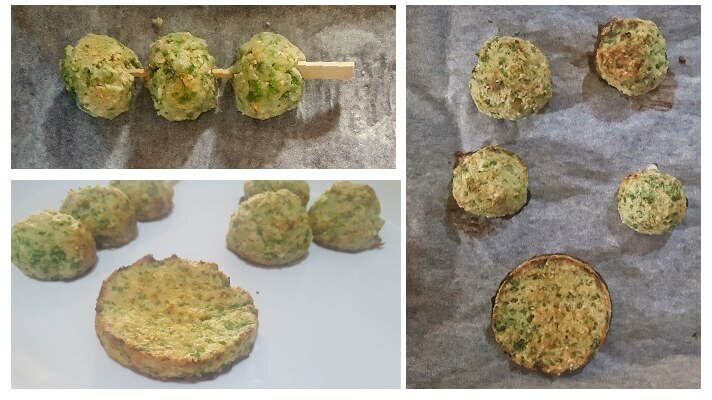 I made my easy fitness food style version with Carb 20% Protein 35% Fat 45% and came up with these baked fish balls with a bunch of ingredients. When are these baked fish balls best? 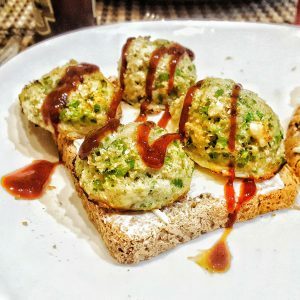 I found a lot of fish ball recipes worldwide, it seems like every country has its own version: Moroccan, Northern European, Thai, Chinese cuisine and even Italy has its own fish ball recipe. Who knew. One of the most famous fish ball recipe happens to be the Filipino fish ball one. Just imagine, walking down the street of Manila, surrounded by the street food aromas coming from all those vendor carts, reaching out with their bowls full of fish balls. Oh my, Street food lover pure Heaven. Anyways, fish balls are obviously a meat-free version of the popular meatballs and they can be made from cod, cuttlefish, pollock or any other fish available. They’re a sort of ball-shaped patties made of fish, many other ingredients and then deep-fried. The final blow…hahaha! To be honest, I read the ingredients of several recipes and my stomach protested vehemently, plus I wanted some vegetables in it. That said, let’s go making an easier and effortless baked fish ball recipe. 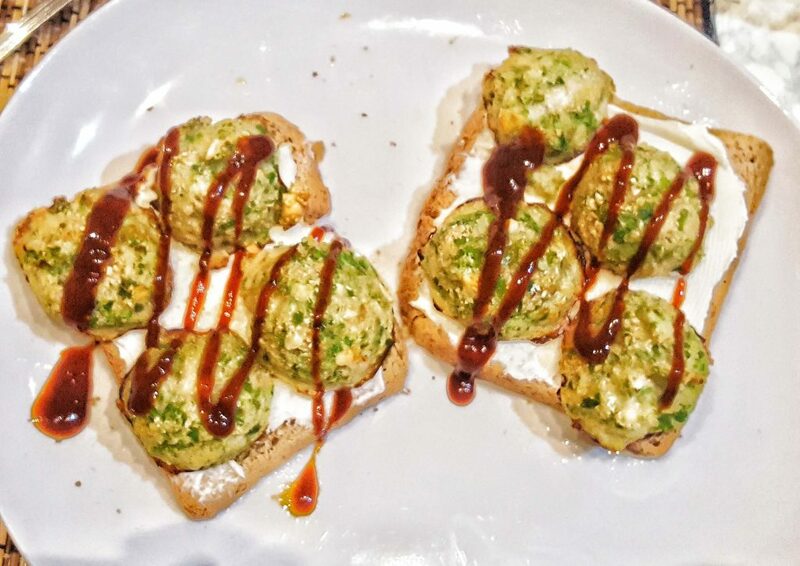 This way I can stuff a bun with fish patties, have some fish balls to toss in a soup for dinner, or a couple of skewers to dip in sauce as a mid-afternoon snack. All in one batch. When I have them in a soup, I’m used to making a sort of fish balls in ramen. The recipe will come soon, it’s worth it. And yes, I do have fish in my snacks. Pretty odd, I know. Heat up your ovens it’s time to bake some fish balls ! As mentioned previously, I made them in multiple ways, so I have them ready for a snack or a proper post-workout meal. 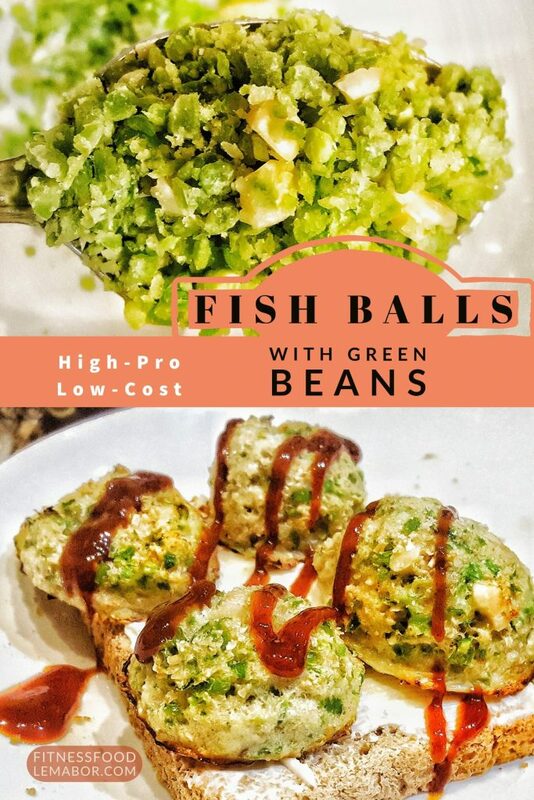 It’s a high protein meal, the oats here provide few Carbs, so if you want to pair them with potatoes, sweet or regular, it’s a great idea, or having fish balls with rice is delicious too. To make this dish, I spent a total of € 2.50 per 8-10 fish balls. Cheap and put together in 20 minutes! After having made this recipe a few times, I can say that the average cost should be in the range of €2 and €4.50 . Sub it with salmon. Salmon fish balls are probably tastier, even though high in fats. When I don’t have pine nuts, I use almonds instead, they taste good too. Put the green beans along with the pine nuts in the food processor and grind them roughly, then scoop them out in a mixing bowl. Add the cod and the oats in the food processor and grind till smooth. Add to the previous bowl. In the same bowl pour the olive oil, the egg whites and mix. Season it with paprika, ground pepper and salt. Stir the mixture. Combine everything together. Now choose the shape you prefer: balls or patties. Shape them by hand or with spoons and place them on the baking tray previously lined with baking paper. Add the cod in the food processor and grind till smooth. Add to the previous bowl. Shape them by hand or wit spoons and place them on the baking tray previously lined with baking paper.